Windows 10 is the best OS Microsoft has ever released. And one of the main reason for that is they always try to give better and best to its users with updates and one of such upcoming is Windows 10 Redstone 4 or the Spring Creators Update. Redstone 4 seems to set to come up with new exciting features. So let’s take a look at the release date and features of Windows 10 Redstone. So, when can we expect Windows 10 Redstone 4 to release? This update is the product of over a year’s work, with features that were first tested by Windows Insiders, a group of testers who try out early versions of Windows 10, back in early 2017. The expected date of the release date of Windows 10 Redstone 4, or the Spring Creators Update is 13th March. Note that it is expected date not the fixed date. The Timeline feature was assumed to arrive with last year’s Fall Creators Update, but it was not ready, so it was cut at that time, and after months of testing, it will release in Redstone 4. Timeline update shows a visual timeline of the desktop that let the user go back into to another device where they worked. The device includes Android and iOS smartphones. With this seamless transition or switching between different devices, it will also allow the user to revisit a desktop state, a bit similar to Windows version of macOS Time Machine. It could prove to be a handy feature. Windows 10 gets a big rebuilt with Redstone 4, with the ‘Smooth Design’ look. With the arrival of the Spring Creators Update, the operating system look better than ever. Several windows and menus that you use regularly will come with a fresh lick of paint, and it will not only improve the look of Windows 10 but also makes the operating system easy to use. With Redstone 4, one can share files between devices easily wirelessly. All thanks to new Near Share feature. With this new feature, you can quickly share documents and many other things by pressing the ‘Share’ button in apps, which will display nearby devices you can send the file to. 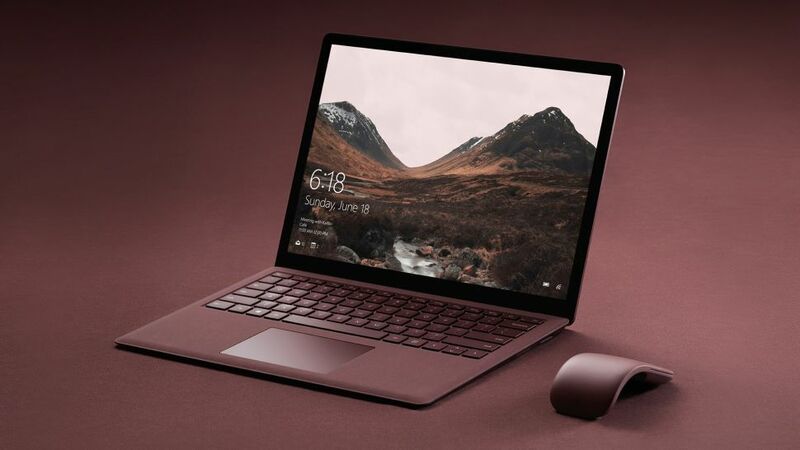 With Redstone 4, connecting your Windows 10 device to peripherals Bluetooth device will be faster and more comfortable, and it is due to new quick pair feature. When a device in pairing mode is within range of your Windows 10, a notification will appear prompting you to pair it. Just click on the device, and it will be accessible to your Windows 10 device. At present this only works with Microsoft peripherals, but hopefully, when Redstone 4 officially releases, we’ll see devices from other manufacturers make use of it. In Redstone 4, Microsoft’s Edge browser and Microsoft Store will also get some new specialties. Most probably, you will able to run Progressive Web Apps (PWAs) within Edge, and installed through the Microsoft Store. Progressive Web Apps will work like regular Windows apps, but they’re lightweight and may not need to install as they are web-based Apps. By making them searchable in the Microsoft Store, Microsoft is giving them same billing as full Windows 10 apps, as well as providing users more apps to choose from it. The Microsoft Edge is also getting massive updates with Redstone 4, and compete with Chrome and Firefox. With a new look, the user can access quickly to history, bookmarks, and other essential parts of the browser. Even they can pin books to the Start Menu quickly when reading them in Edge. Edge will remember all your information of filled form and make it easier to sign up for websites for next time. It will also not forget the payment details, too, which makes easy online. Payment. You can mute any website’s sound by right click on a tab and in incognito mode, one can run specific extensions if you want. The ‘Clutter-Free’ option removes the unnecessary text, images and more trash from a website and makes the print out of website looks nicer. For the extended time, Windows 10 S and Windows 10 existed separately from one another. If you wanted to move on from the closed nature of the S-branded OS, you’d have to convulse up a price to upgrade to a full-fat version of windows. Now, with Redstone 4, that’s a thing of the past, and you’ll be able to hit a button that’ll take you in or out of Windows 10 S mode and let you use the Windows 10 free of charge. All the above are new features of Windows 10 Redstone 4. Hope you are also excited about its release. What’s your thought on Windows 10 Redstone 4? Without fail share with us using the comment section.